This is absolutely the most popular choice for flower arrangement. A hand bouquet of flowers is a great option not only for a romantic occasion like Valentine’s Day but also other special events—any kind of event. You will never go wrong to please the receiver of a gorgeous flower bouquet since the beauty is irresistible. The container can be a vase, a box, a pot, or even a can. Flower arrangement in a container can be a great choice if you want the receiver to be able to keep it for a long time. Did you know that a basket can be great way to give flower? 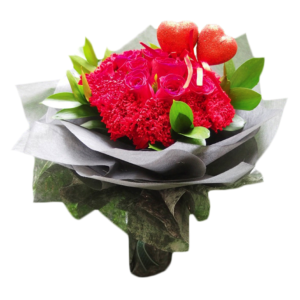 This type of flower arrangement can be given on some special occasions to show that you care and send best wishes to the receiver. A hamper gift can consist of flowers and some other gifts altogether on it. This can be a wonderful surprise and there’s a good chance it will spoil the heart of the receiver. You can choose to send a hamper of chocolates or sweet treats and other edibles along with the beautiful flowers on it. Jewelry, accessories, and body care set also can be your good choice to fill in the hamper gift. After all, flowers will always have a way to someone’s heart and make their day become more special. Whatever form or type of flower gift you give, it will be well-received as long as you know where is the best place (florist) to buy it. And flower delivery service in Singapore won’t disappoint you in this case.